The House of Commons Business, Energy and Industrial Strategy (BEIS) Committee&apos;s report on Brexit and UK auto released today calls on the Government to keep the closest possible relationship with the existing EU regulatory and trading framework so as to give UK volume car manufacturing a realistic chance of survival post-Brexit. In a hard-hitting report, the report rightly says that no-deal puts hundreds of thousands of UK jobs at risk and threatens hundreds of millions of pounds worth of inward investment. It cites the Society of Motor Manufacturers and Traders (SMMT) which estimated the introduction of trade barriers would result in a £4.5 billion drop in exports while other studies pointed to a greater decline. The report finds that non-tariff barriers, in the form of border delays and increased bureaucracy, will also impact on UK competitiveness. The report recommends the Government places a high premium in its Brexit negotiations on securing frictionless trade for the automotive sector. It&apos;s something I myself stressed in my evidence to the committee. Rachel Reeves MP, chairman of the BEIS) Committee, said: "The car industry is one of the UK&apos;s great manufacturing successes. "Innovative and efficient car plants across the country provide thousands of jobs and the automotive sector is a major contributor to our economic growth." She went on to note: "There is no credible argument to suggest there are advantages to be gained from Brexit for the UK car industry. "Regulatory consistency and friction-free trade benefits car companies, consumers and car-workers. "The Prime Minister now needs to ensure common-sense pragmatism prevails and spell out the Government&apos;s intention to seek continued regulatory and trading alignment with the EU in the automotive sector." The committee notes the UK automotive industry is largely export-led with Europe as the primary market (accounting for more than 50 per cent of UK car exports). The industry is also one of the most closely integrated sectors with the EU. The UK automotive sector&apos;s success is built on the complex supply chains that stretch throughout Europe: typically, parts are transferred through different countries before being assembled into the final product. Here, at the Birmingham Post, I&apos;ve highlighted brilliant local operations like BMW, at Hams Hall, or GKN Driveline, in Erdington, where components going in their products cross the channel multiple times. The BEIS Committee report also takes a good look at potential opportunities arising from Brexit but rightly finds it unrealistic to expect an expansion of trade overseas to outweigh the loss of trade to Europe arising from a hard Brexit. Again, this is something I and others have stressed in relation to the auto industry. The report also states any new bilateral trade deals secured by the Government are unlikely to lead directly to a significant increase in investment and jobs in the UK automotive sector. The committee finds that retaining good access to the single market is more important than securing the freedom to secure new trade deals with third countries. On the key issue of the future regulatory regime, the report does not identify any potential benefits from divergence from the EU, only costs. I&apos;d add this is critical for the long-term future of the industry. The report recommends the Government seeks in the negotiations to preserve existing arrangements for the certification of vehicles throughout the EU, either as part of a Mutual Recognition Agreement or some alternative arrangement. 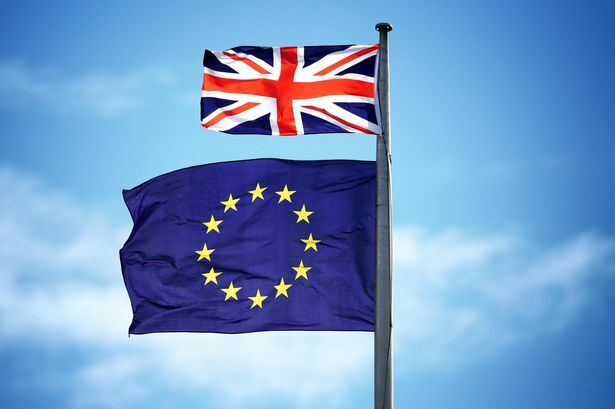 To maximise trade opportunities with the EU - the UK&apos;s biggest trading partner - and to provide certainty to global manufacturers, the Government should also aim to retain regulatory alignment with the EU regulatory framework for the short to medium term. The report also calls on the Government to seek a deal on immigration that enables the sector to access the full range of skills it requires and further incentivise locating relevant research and development in the UK once we leave the EU. The bottom line from the report is the success of the UK auto industry depends on keeping close links with the single market so as to encourage inward investment, keep supply chains sourcing components in the UK, minimising regulatory burdens and keeping access to skills and research and development. The MPs on the committee, from all parties, have done a public service in spelling out these issues so clearly.